In the 1980s, Americans became temporarily fascinated by Australian culture and flocked to the theaters to watch the adventures of men like "Crocodile Dundee". 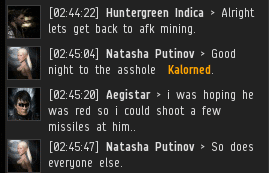 A similar phenomenon took place in highsec after MinerBumping reported on Agent Kalorned and the wilds of Gamis, located in the Derelik region. Good citizens of empire space hung on every message coming from the Gamis Twitter feed. No doubt about it, the life of a New Order Agent is a glamorous one. Bumping a Skiff requires finely-honed skills, as the bumper must manually pilot his ship. It's a far cry from orbiting an anchor and pressing "F1", or assigning drones so someone else can do the combat for you. Bumping miners is elite PvP at its finest. The transition from a lawless Gamis to a semi-lawless Gamis wasn't an easy one. Kalorned had to spend much time operating alone. The indigenous miners weren't sure if they could trust him, so he had to use every available opportunity to build relationships with the locals. New Order territory sprawls across the center of the EVE galaxy, but we're making highsec a smaller world each day. Even in remote Gamis, two Agents of the Order happened to meet by chance. It was a classic "Dr. Livingstone, I presume?" moment. 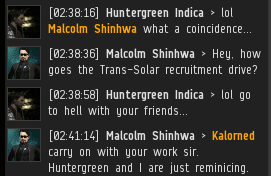 Miner Huntergreen Indica was familiar with both Agents. He'd first encountered Agent Malcolm Shinhwa when a mutual acquaintance awoxed Huntergreen's corp. Forced to be polite and respectful to his face, some unruly miners spat venom the moment they thought his back was turned. Their rudeness was just another reminder that a carebear can't change overnight. On the surface they might be all smiles, but deep down they're still savages until they fully embrace the Code. 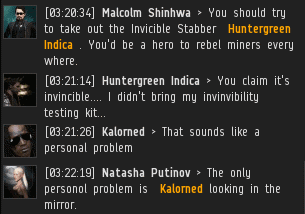 The highsec miners, so unused to scanning the local member list for hostiles, didn't realize their faux pas until Kalorned and Malcolm spoke. 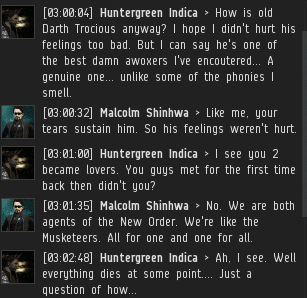 ...Not that Huntergreen cared. He openly fantasized about the destruction of the New Order. It wasn't just that he hadn't gotten over his awoxing; he'd been paid a visit by Agent D400, who popped his covops ship. Despite being surrounded by angry miners, Kalorned and Malcolm were quite comfortable discussing the Order and its Code, like gentlemen. They were an island of civilization in a sea of barbarism and ignorance. The Agents' conversation went straight over the heads of the Gamis population. The untrained miner is incapable of comprehending such things. Their meeting came to an end, as it must. 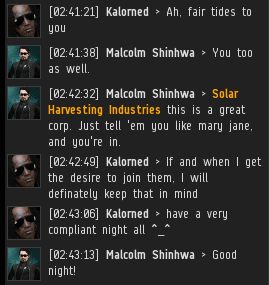 Kalorned enjoyed sharing a conversation with an equal, even if it was only for a few moments. Soon he would be back to work, carrying the torch for all of civilization, alone. Careful, the "Field Report" tag on the bottom of the post is a bit broken. I'm done. I couldn't read anymore after. . . By the Code I love you guys and this blog so much. But seriously. A Stabber? Invincible? Please, anything that can get alpha's by T3 BCs is by no means Invincible, you just did the math so nobody can hurt you before they die to CONCORD, a cowards tactic. 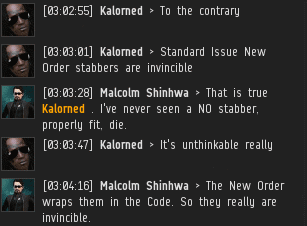 The stabbers are invincible only in the sense that no one chooses to attack them with any skill. 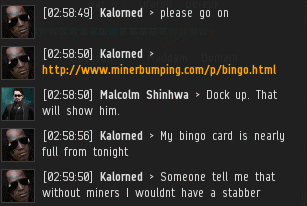 Sure, they could be popped, but when have miners done so? 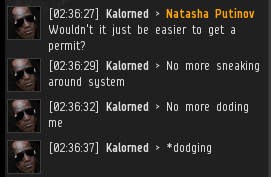 No one is suggesting that actually shooting ships isn't PVP - the phrasing is in response to miners who, in anger and ignorance, claim that bumping and ganking aren't PVP. Also, I fail to see how taking advantage of CONCORD is cowardly. 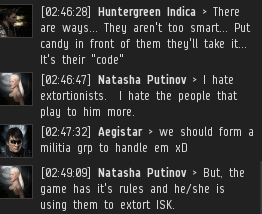 Most people would call using all your resources smart, and since the Order fights in highsec, CONCORD is an important game mechanic to work with. "Wait so bumping someone is PVP? 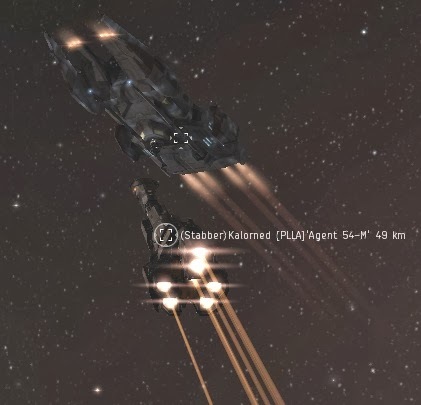 So all the PL, RAZOR, CFC, etc people my corp has been up against using expensive ships, tactics, strategies, and such aren't actually really doing any real, challenging PVP?" You've committed a formal fallacy there, 'denying the antecedent. ', also known as "the fallacy of the inverse". This isn't your normal rhetorical fallacy, this is something you see only in people who lack both education and common sense, crack babies and the like. I'm sorry for your loss. At first, I was wondering how this had all happened in w-space. After all, the only way the miners could have failed to realize that the agents were still around would have to be because local was gone. Then I reread the article. Rarely have I facepalmed so hard. Apparently even local is too complex a tool for some miners. Do or do not. 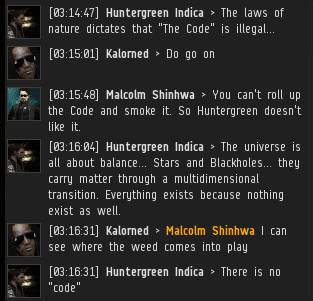 There is no CODE. Ask Yoda - he knows.